This recipe for spareribs is made with a marinade and easy sauce for grilling. Spare ribs are a type of pork ribs. They are very versatile and are cooked and eaten in many cuisines around the world. 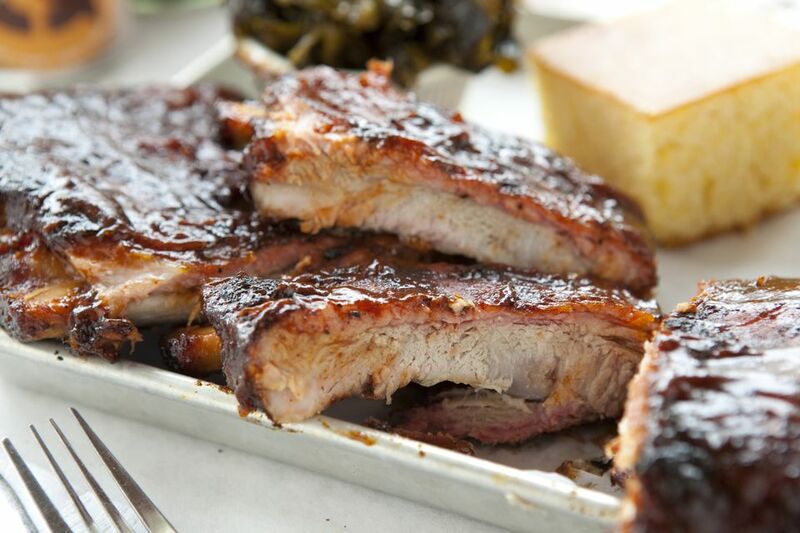 The pork spare ribs are cut from the lower portion of a pig; they specifically come from the belly and breastbone. A full set of spareribs include 11 to 13 long bones. This recipe provides you with steps to make both a marinade and a homemade barbecue sauce. The marinade is used to tenderize the meat and can be left on the meat for as long as one night. The barbecue sauce is used for basting and flavoring the ribs as they cook. It's also a great classic recipe anytime you need a barbecue sauce. Do note that this recipe requires some active grilling work, with frequent basting and turning for about 50 to 60 minutes. While it's not complicated work, it can be very hot and will require minimal attention to time and the ribs. This is not a set it and forget it type of rib recipe. In addition to a non-reactive container to marinate the ribs, you'll also want a basting tool. A silicone basting brush or even a spare paintbrush (designated to be used only with food) will work. Arrange ribs in a non-reactive container, such as a deep glass dish or stainless steel. Combine marinade ingredients and then pour the hot marinade over the ribs. Cover and refrigerate the ribs for at least 4 hours or overnight. Combine sauce ingredients. Heat charcoal grill, if you are using. If you are using a gas grill, heat the grill to medium. Remove the ribs from the marinade and place them on the grill (over hot coals or on the gas grill). Let the meat sear over the hot grill; turn them over and sear the other side. Baste the ribs with the barbecue sauce. Continue to cook the ribs, turning and frequently basting, until tender, about 50 to 60 minutes. Keep watch to avoid any flare-ups on the grill, as that will char the meat. The ribs are finished when they feel tender in the thickest sections. Serve the ribs with your favorite barbecue sides, such as baked beans, cole slaw, and grilled corn.